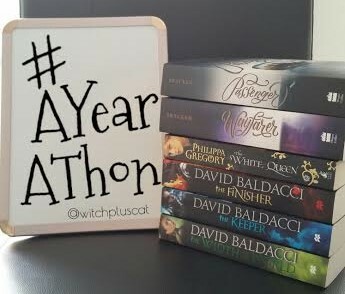 This Monday 5th to Sunday 11th I will be participating in #AYearAThon. This month is centred around catching up or finishing series, which I was doing anyway, so why not participate in a readathon while I’m at it. An extra challenge is to read a book with a character the same age as myself. 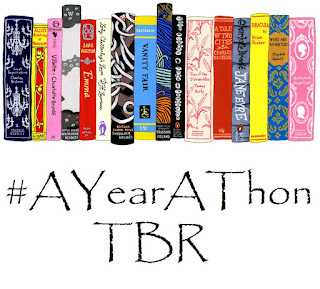 I just turned 31 today, I don’t own a lot of books with characters around that age bracket, so I’ll have to think about that one. I’ll be reading the following books. These might change or I might add new ones on. It just depends on how I feel. If I don’t finish Passenger before Monday, then I will be finishing that one off and starting Wayfarer. I don't know what order I'll be reading after that, but the following books are ones I want to read. Good luck to everyone else who is participating, hope you reach your goal.